Disney Marathon training starts next week (!!!) which should provide me with a solid base for the Harrisburg Half in September. I have some big goals for both races and I'm excited to start training consistently again. Sunday's miles were as close to perfect as they could be. The temperature had dropped, there was a slight breeze, and everything on the trail was in full bloom. And the miles felt easy, so that's always a bonus. 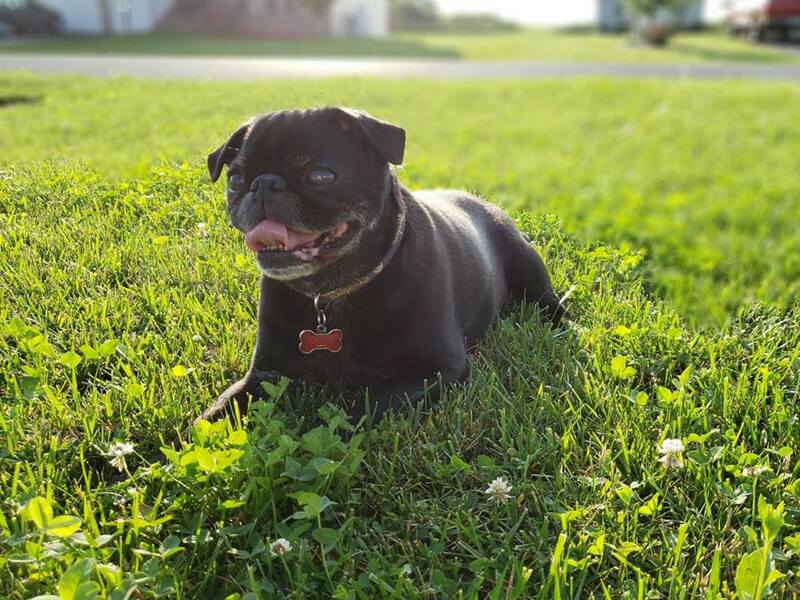 No quotes this week, just a picture of our sweet pup enjoying his new yard at our new house. He's such a doll, isn't he?? Good morning, my beloved long-lost blog readers! Matthew and I have been knee-deep in the house-searching and then home-buying process for the last two-ish months and it's been an absolute whirlwind of a summer so far! 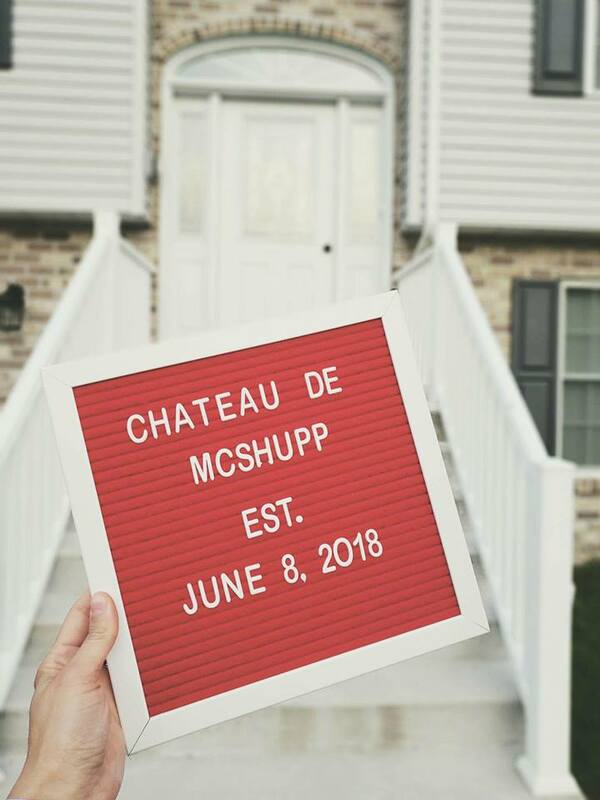 We absolutely love our new home and are excited to be homeowners! 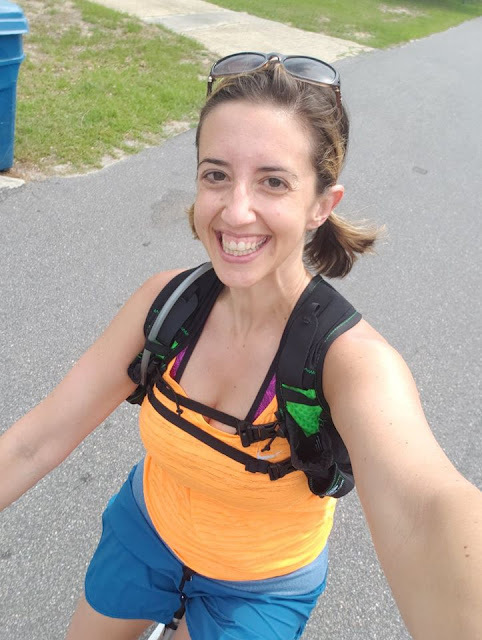 And I'm very excited to explore the area and find new running routes as my training picks up for fall races (so far, Harrisburg Half and probably WDW Marathon). But, running/training has absolutely taken a back seat to the house stuff. All our time has been taken up with packing and cleaning and moving leaving little time or energy to run. I know I'll get back to my regular routine soon, but in the meantime, my weight has been creeping back up with the lack of regular physical activity. After a few weeks of travel in May, I gained about six pounds which was to be expected. Before vacation, I'd actually been doing quite well and my weight was on a downward trend, getting back to a number where I felt comfortable and fit. But if you've been reading for a while you know that for me, "vacation + stress (from home buying) = weight gain." At this point in my weight loss/weight maintenance journey, I know this is normal. 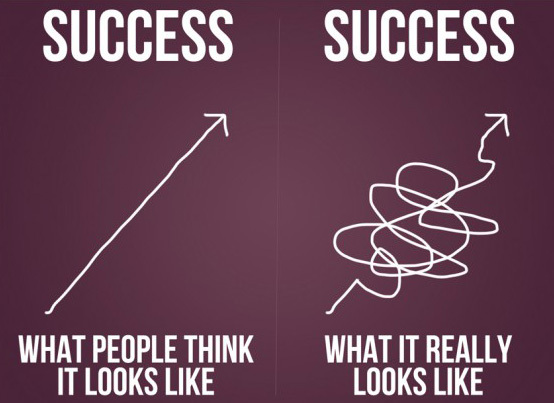 Life happens. 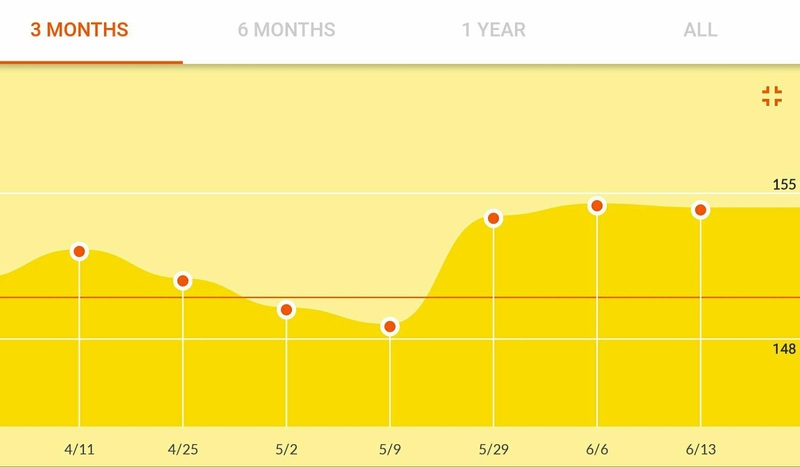 My weight fluctuates from month to month, year to year, and it probably always will. Still, I'm not super happy about my weight or my lack of training lately. 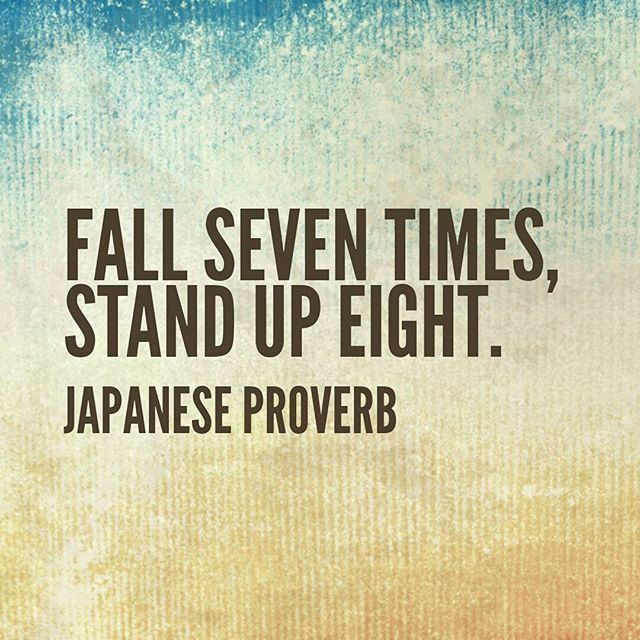 But here's what I know for sure: I'll never stop trying. So, it's back to regular weekly weigh-ins, a training plan, and more consistent blogging here. 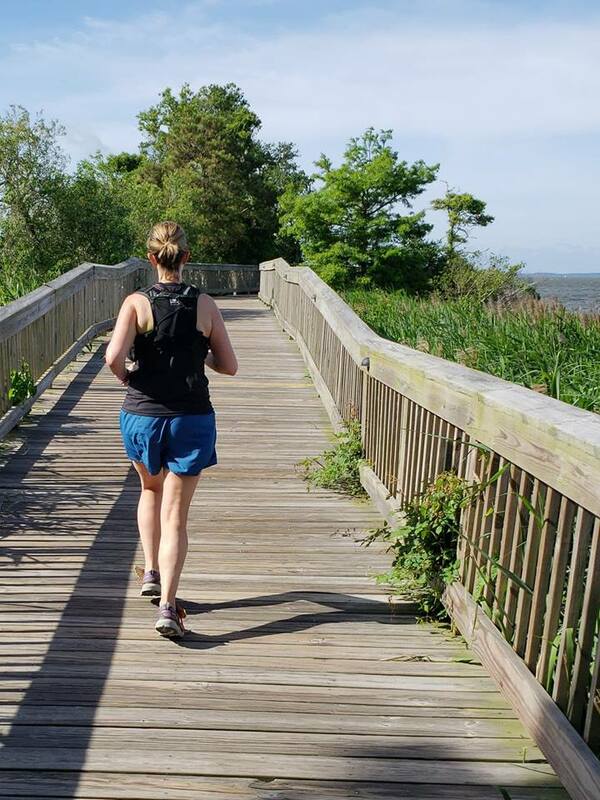 Writing about running and weight loss is one of the ways I hold myself accountable and I'm usually much more consistent with both when I'm writing and posting regularly. Plus the blog turns FIVE YEARS OLD next month so I've got to plan something awesome to celebrate! Ok, that's about it for this week's very unconventional Accountability Tuesday post! See y'all next week and as always, THANK YOU for reading! Y'all - it's finally summer! And with summer comes my least-favorite running weather: heat, humidity, and so much sun. While I love summer for all those same reasons, the weather doesn't make it easy for running outdoors. Staying hydrated in the summer months is critical to staying cool in the heat. 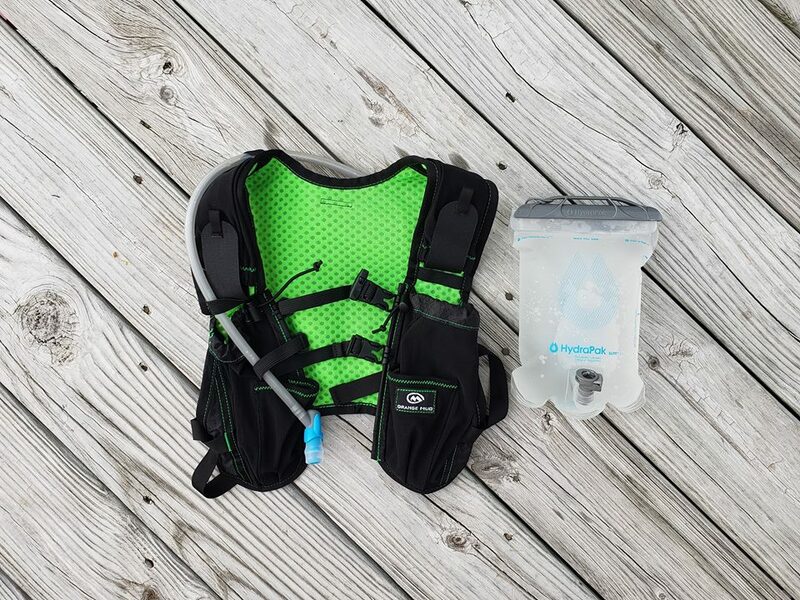 So, how do you stay hydrated on the run? Check out my review below for a pretty neat option for taking your H2O on the road with you this summer! The awesome folks over at OrangeMud sent me an Endurance Hydration Pack to review for the blog and I'm excited to share my thoughts with you! 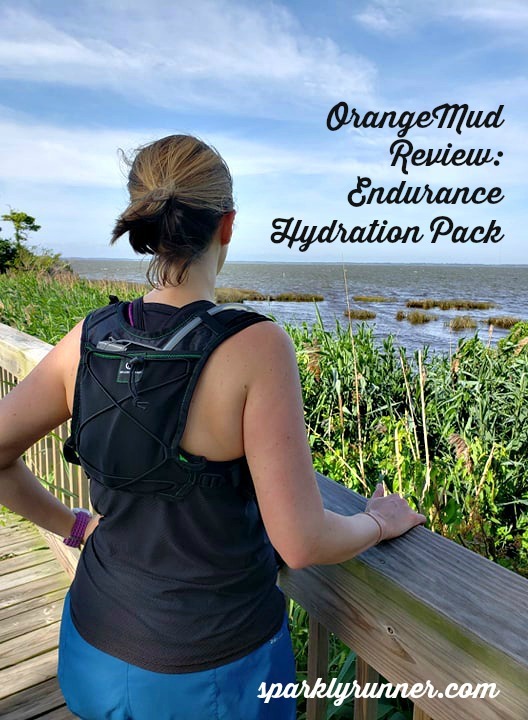 Full disclosure- I received this hydration pack from OrangeMud in exchange for an honest review on the blog. I was not paid or compensated in any way for this review. As always, all opinions expressed here are my own. Another full disclosure- I've never run with a hydration pack like this before. I've used a handheld water bottle and a running belt with bottles but nothing like this. When I first opened up the Endurance Pack, I have to admit, I was a little intimidated. The bladder (the thing that holds the water) looked like it was going to be heavy to carry and I was a little worried about the actual pack itself- I have small shoulders and was nervous that it wouldn't fit correctly or move around too much when I ran. Despite my slight intimidation, I was so impressed with all the pockets/storage on this pack. On the front left-hand side there was a space big enough for my Samsung Galaxy 9 (which is a pretty big phone) and on each shoulder there were little pouches for GU or other gels. On the right-hand side there was another large pouch with a clip for my car keys. Pretty much everything I would take on a long run with me can be stored in this pack- plus WATER! After filling up the bladder and loading it into the back of the pack- staying in place with a velcro strap- I tried it on. I had watched some videos about fit on the OrangeMud youtube channel so I felt comfortable adjusting the straps for a solid fit. Another cool thing about this pack- totally adjustable front straps. You can criss-cross them, move them up or down, really anything to make the fit comfortable for you. As a woman blessed with lots of curves, I appreciate the multiple points of flexible adjustment! Once I had the fit about where I wanted it, it was time to take it for a short run. A recent trip to the beach gave me the perfect mix of heat and humidity to try this pack out and see how it did on the run. The first few minutes of the run were a bit awkward as I got used to the feeling of having something on my back while I was running. Despite my earlier adjustments, I did need to pull the side straps a little tighter to accommodate some minimal movement once I'd started to run. However, after about five minutes, I honestly forgot I was wearing it. 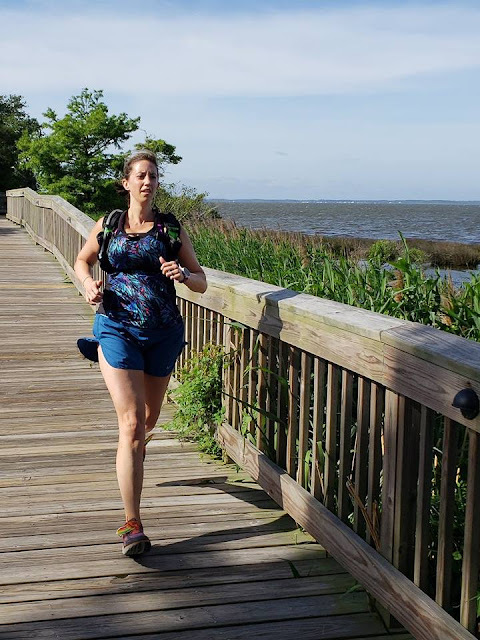 The fabric was comfortable and breathable- it was super sticky and salty running along the ocean but I never felt like anything was chafing or irritable on my skin. Having the extra large pocket for my phone was great. Not once did it I even feel the weight of it in the pack and it was nice to be able to have quick access to it. For the front straps, I found it most comfortable to have one high across my chest and one low kind of across my diaphragm. I'd pulled the side straps as far as I could and then tucked the excess strap underneath the part of the strap that was taut. There was no movement of the pack or the straps once I'd adjusted it correctly. Even though I had on extra "weight," it didn't feel uncomfortable or heavy. And let me tell you how awesome it was to have water on the run- so glorious, especially in the summer heat! I took this pack on a three and a half mile run and probably drank about a quarter of what it holds (two liters). I was a little worried there would be sloshing as the pack lost water but I didn't notice a thing. The hose was a perfect length for me- the pack came with a recommendation to cut it to a shorter length, but I preferred the original length. It was easy to use and easy to drink from on the run. After having success on the run with the pack, I took it for a bike ride. It was even better on the bike, mainly because you have so many more storage options that you usually don't while riding a bike. Now I'm not much of a bike rider, but I do enjoy it on vacation. I can easily see this pack being used repeatedly on future trips when biking or hiking is involved- it carries water and so much more. The perfect accessory for holding all your crap while on a bike. 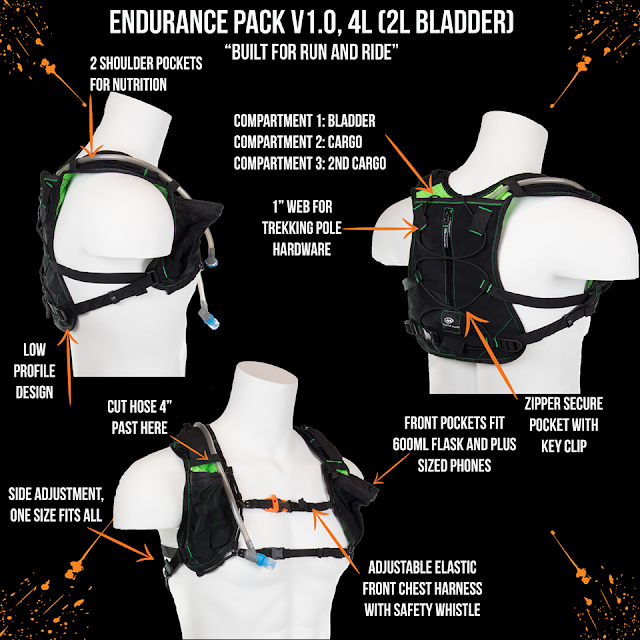 Overall, I can see this pack becoming a main staple in my training runs. I loved the option of having water with me and having so many extra pockets and pouches to store food, keys, my phone, etc. It was comfortable, adjustable, and easy to use. If you've been looking for a hydration pack that is comfy and useful, take a closer look at the Endurance Hydration Pack from OrangeMud. 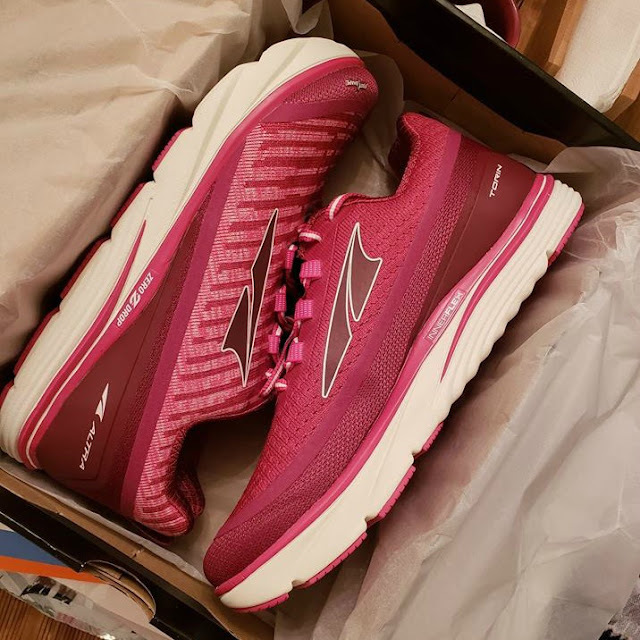 There are tons of runners and hikers that use and love this brand- and it's easy to see why! 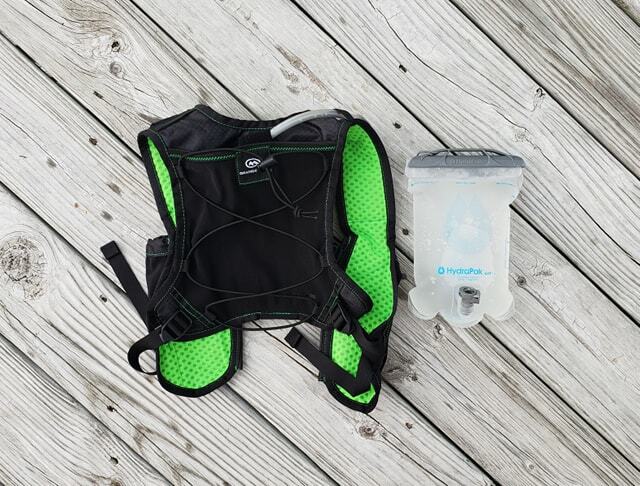 From the storage options to the low-profile design, this is an awesome way to carry your water- and anything else!- with you on the run! See more of their models and options here: orangemud.com. How do you stay hydrated in the summer months?